Villagers, Nadine Shah and Sophie Jameson have joined the bill for the festival which takes place across a number of Shepherd's Bush venues on 13 June. 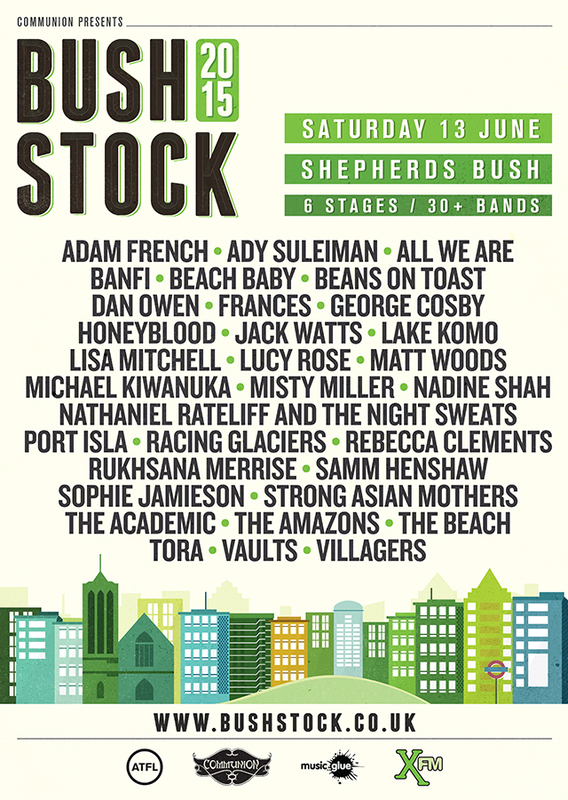 Bushstock have confirmed the final acts for its 2015 bill, adding to a line-up that already includes Michael Kiwanuka, Lucy Rose and Honeyblood. Mercury Prize-nominated Villagers are the biggest name added to the festival today, with Nadine Shah, Banfi, Frances, Sophie Jameson, Charlotte OC, The Beach also joining. Nathaniel Rateliff will perform for the first time with Night Sweats, his new band. The one day, multi-venue event that will take place in Shepherd's Bush in London on 13 June. It's the fifth year of the festival, with Port Isla, Lisa Mitchell, Racing Glaciers and All We Are also confirmed to play. The festival is run by Communion Records and Communion Presents, with the final round of Tier 2 tickets now on sale priced at £30.